Selena O’Hanlon of Kingston, Ontario and John and Judy Rumble’s Foxwood High won the day, finishing the Derek di Grazia designed CIC3* course on a final penalty score of 30.40 at the Bromont CIC. The pair added just 2.40 time penalties to their dressage score putting them ahead of second placed Lynn Symansky (USA) on Under Suspection who finished up with a score of 32.00. Ask about the cross-country course Selena thought “the footing was superb and the fences were built just beautifully. The terrain was going to be a little bit of a test for Woody because I don’t really have hills at home, but he felt really fit at the end”. In the CIC2* US Team rider, Boyd Martin (USA) on Denise Lahey’s KWPN gelding Contestor (Cortez) finished up the three days score of 32.20. Recent finishes for this combination include a 10th at the Bromont CIC2* just this past June. Cole Horn (USA) and his own Cooley Sligo added nothing on cross-country to have a final score on Sunday of 33.50. This put the Cole and the 6 year old grey Irish Sport Horse gelding in first at the end of the weekend to win the CIC1*U25. Waylon Roberts (CAN) riding a 6 year old ISH gelding by the name of Wil Celtic Charlie won the CIC1*. The horse, imported from Ireland is owned by Aletta Martin (USA) added just 1.60 time penalties to their already impressive 26.40 dressage score. Regarding the ride today Waylon said I’m really excited about this horse. I know it might be quick, but it could be a horse they could consider for Lima. He’ll be 7, and he should have a couple 2* runs under his belt by then. I wasn’t thinking that before this weekend, but I am now. Waylon’s more immediate plans for Wil Celtic Charlie include coming back to Canada in just 10 days for the CCI1* at Foshay International in Jemseg, New Brunswick. In the Open Training it can be said that from start to finish this weekend that Lauren Kieffer (USA) had a solid lead riding Jacqueline Mars’ Get Gaudi who had been purchase from Matt Flynn. “She is a lovely, lovely mare” said Lauren of the horse. Finishing on their dressage score of 22.10 the Lauren and Get Gaudi found themselves 10.40 points ahead of their closest rivals for the red ribbon, Catherine Henderson on Oldcourt Grafen Dance. Amanda Beale Clement and Megan Wilson’s 5 year old BE Kilgoric Felix (Felix) started and finished on a dressage score of 26.90 in the the Training Young Rider. An excellent run at Bromont to be sure. 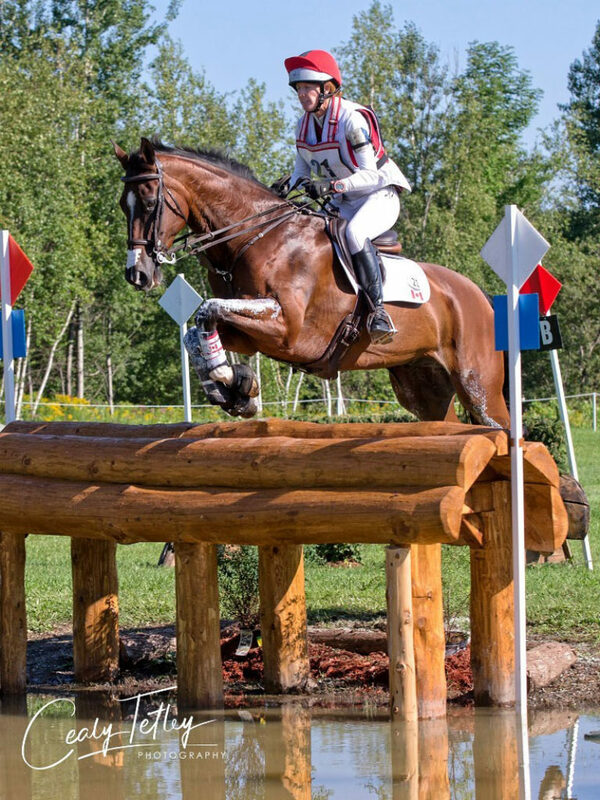 Entries representing six nations vied for the red first place ribbon over three days of competition this weekend at Bromont CIC Three Day Event. Team selectors from both the US and Canada are onsite and this is the final mandator outing ahead of the FEI World Equestrian Games in Tryon, North Carolina for Team USA. Watch for announcements regarding our 2019 dates starting with the exciting return of the MARS Incorporated Bromont CCI Three Day Event in June at bromontcci.com.